The crontab is used for running specific tasks on a regular interval. Linux crontab is similar to windows task schedules. Crontab is very useful for routine tasks like scheduling system scanning, daily backups etc. Crontab executes jobs automatically in the backend on a specified time and interval. In this tutorial, you will learn to uses of crontab with 20 useful examples for scheduling jobs. You can also use crontab for the tasks to run once in future only, but for any tasks to run once we recommends to use Linux at command. If you do not have crontab installed on your system refer article Install Crontab in CentOS/RHEL. To view crontab entries of current user use the following command. Here is the list of examples for scheduling cron job in a Linux system using crontab. This will be useful for scheduling database backup on a daily basis. Asterisk (*) is used for matching all the records. This type of cron is useful for doing weekly tasks, like log rotation, etc. To schedule a task to execute twice on Sunday and Monday only. Use the following settings to do it. @reboot is useful for those tasks which you want to run on your system startup. It will be the same as system startup scripts. It is useful for starting tasks in the background automatically. 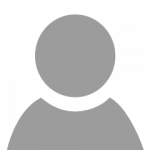 Thanks for reading this article, I hope it will help you to understand Crontab in Linux. For scheduling one time tasks you can also use Linux at command. */35 * * * *, we have tried this but not working as expected. We need a job to run at every 35 minutes round the clock. In this case, first build will trigger at 4:00 (say), next build will trigger at 4:35 and the next build is getting triggered at 5:00 not at 5:10. In a single hour it is triggering twice rather going to next hour. In a single hour, it is getting triggered again without completing 35 minutes. Please check once and help me to get correct one! If i want to execute a script on 0:30 am every 10 day, which is correct? Hi, I want to schedule a cron which will run every minute between to 3 – 8. Can u plz help me out. wow, good tutorials. Could you please cover how to save jobs to crontab. I presently have a challenge doing this on oracle linux 7. Your first example has a problem. It won’t execute. You need to remove ‘sh’. I want to run the same job @ 2:00 AM Every day except on Wednesday. On Wednesday’s i want to run the same job @ 3:00 AM. is it possible with single line command. Two lines in cron for the same task. It applies to your case. Thank you very much for the time you put in creating these tutorial sir. Can someone help me with the below queries plz? How to configure a cronjob to run on alternate Sundays? How to configure a cronjob to run on alternate Months (example – Jan,Mar, May etc) without using the literals like 1,3,5 or jan,mar,may ? Thank you for your post. Although I have used it several times but not often enough to remember the different parameters. 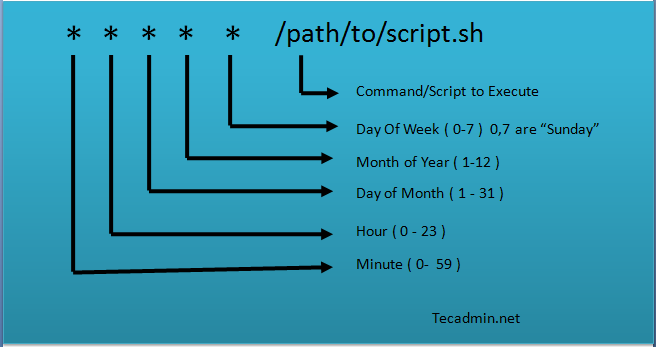 Those are likely sh or bash scripts, but can be any program. You must specify the full path to the program, and any args if the program takes args. This is the answer I am looking for after have been searching from many sites!! Thanks. Rahul, thanks for your guide. That’s clear & concise! Hi Leslie. The second cron have some issues. You need to specify minute to run. For example. Now, this will like 3:00, 6:00, 9:00 and so on. How to start X applications from CRON ??? Only one thing that I do not get. You keep on talking about scripts.sh etc….. Thanks for the information, brilliant article. There is an interactive cron simulator at http://www.dataphyx.com where these examples, and any other combinations of crontab timing parameters, can be tried out off-line. Time/date values go in, a list of job run-times comes out.